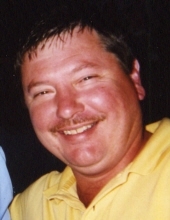 Gregory Alan Blom, 53, of Grinnell died on March 12, 2019, at his home. A Celebration of Life will be held from 9:30 a.m. to 11:00 a.m.. Saturday, May 4th, at the Grinnell United Methodist Church - Friendship Center. Memorials may be designated to PALS (Poweshiek Animal League) or to the Diabetes Association. Greg was born on October 13, 1965, at St. Francis Hospital in Grinnell, the son of Gary and Jocelyn Cox Blom. He was raised in Grinnell and was a 1984 graduate of Grinnell High School. He later received a business degree at Marshalltown Community College. Greg worked for various businesses before working for Blom & Criswell Painting for 28 years. When his health declined with Diabetes and cancer he was forced to retire. He was married to Nancy Weisskopf and later divorced. Greg was an avid Boston Red Sox fan! He played baseball in high school and played on the Grinnell Tiger baseball team that qualified for state tournament play. He enjoyed bowling and was an avid hunter and fisherman. He is survived by his father and step-mother, Gary and Carolyne Blom of Grinnell; his brother, Brian of Grinnell; a step-brother, Mike and Lisa Huff and family of Montezuma; a step-sister, Michelle and Don Ryan and family of Chelsea; several aunts and uncles; numerous cousins; and many friends. He was preceded in death by his mother, Jocelyn Blom in 2006; and his grandparents, Frank and June Cox and Guy and Matilda Blom. To send flowers or a remembrance gift to the family of Greg Alan Blom, please visit our Tribute Store. Guaranteed delivery before Greg's celebration of life begins. "Email Address" would like to share the life celebration of Greg Alan Blom. Click on the "link" to go to share a favorite memory or leave a condolence message for the family.